1) What is cloud computing? 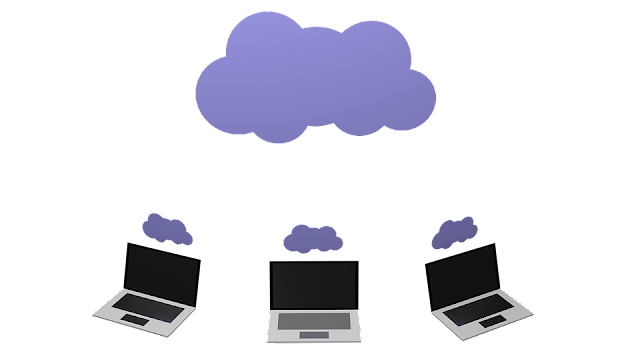 What are the advantages of using cloud computing? 2) Mention platforms which are used for large scale cloud computing? 3) Explain different models for deployment in cloud computing? 4) What is the difference in cloud computing and computing for mobiles? 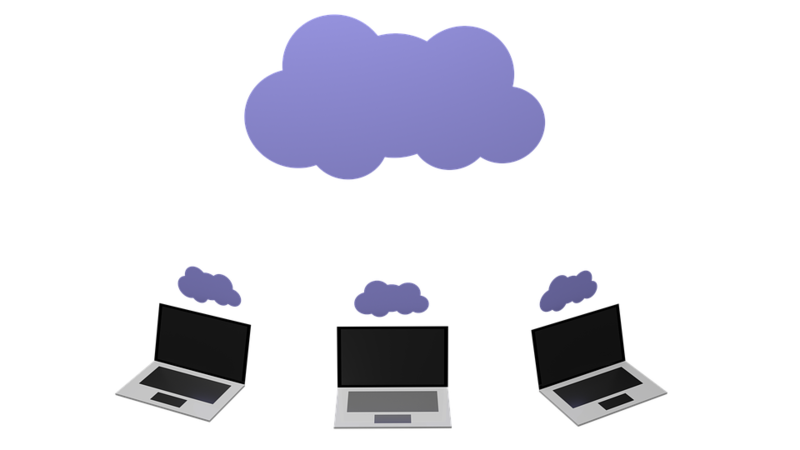 Mobile computing uses the same concept as cloud computing. Cloud computing becomes active with the data with the help of internet rather than individual device. It provides users with the data which they have to retrieve on demand. In mobile, the applications runs on the remote server and gives user the access for storage and manage. 5) How user can gain from utility computing? Utility computing allows the user to pay only for what they are using. It is a plug-in managed by an organization which decides what type of services has to be deployed from the cloud. Most organizations prefer hybrid strategy. 6) For a transport in cloud how you can secure your data? 7) What are the security aspects provided with cloud? 2. Access control: permission has to be provided to the users so that they can control the access of another user who is entering into the cloud environment. 8) List out different layers which define cloud architecture? 9) What are system integrators in Cloud Computing? In Cloud Computing, systems integrator provides the strategy of the complicated process used to design a cloud platform. Integrator allows to create more accurate hybrid and private cloud network, as integrators have all the knowledge about the data center creation. 10) What is “ EUCALYPTUS” stands for? 11) Explain what is the use of “EUCALYPTUS” in cloud computing? “Eucalyptus” is an open source software infrastructure in cloud computing, which is used to implement clusters in cloud computing platform. It is used to build public, hybrid and private clouds. It has the ability to produce your own data center into a private cloud and allows you to use its functionality to many other organizations. 12) What is the requirement of virtualization platform in implementing cloud? 13) Before going for cloud computing platform what are the essential things to be taken in concern by users? 14) Mention some open source cloud computing platform databases? 15) What are the security laws which are implemented to secure data in a cloud ? 16) Mention the name of some large cloud providers and databases? 17) Explain the difference between cloud and traditional datacenters? 18) Explain what are the different modes of software as a service (SaaS)? 1. Simple multi-tenancy : In this each user has independent resources and are different from other users, it is an efficient mode. 2. Fine grain multi-tenancy: In this type, the resources can be shared by many but the functionality remains the same. 19) What is the use of API’s in cloud services? 20) What are the different data centers deployed for cloud computing? 21) In cloud computing what are the different layers? 1. SaaS: Software as a Service (SaaS), it provides users access directly to the cloud application without installing anything on the system. 2. IaaS: Infrastructure as a service, it provides the infrastructure in terms of hardware like memory, processor speed etc. 22) How important is the platform as a service? Platform as a service or PAAS is an important layer in cloud computing. It provides application platform for providers. It is responsible for providing complete virtualization of the infrastructure layer and makes it work like a single server. 23) What is a cloud service? Cloud service is used to build cloud applications using the server in a network through internet. It provides the facility of using the cloud application without installing it on the computer. It also reduces the maintenance and support of the application which are developed using cloud service. 24) List down the three basic clouds in cloud computing? 25) As a infrastructure as a service what are the resources that are provided by it? IAAS ( Infrastructure As A Service) provides virtual and physical resources that are used to build a cloud. It deals with the complexities of deploying and maintaining of the services provided by this layer. Here the infrastructure is the servers, storage and other hardware systems. 26) What are the business benefits involved in cloud architecture? 27) What are the characteristics of cloud architecture that separates it from traditional one? 28) Mention what is the difference between elasticity and scalability in cloud computing? Scalability is a characteristics of cloud computing through which increasing workload can be handled by increasing in proportion the amount of resource capacity. Whereas, elasticity, is being one of the characteristics that highlights the concept of commissioning and decommissioning of a large amount of resource capacity. 29) Mention the services that are provided by Window Azure Operating System? 30) In cloud architecture what are the different components that are required? 31) In cloud architecture what are the different phases involved? 32) List down the basic characteristics of cloud computing? 33) In cloud architecture what are the building blocks? Also mention in what? 34) In cloud computing explain the role of performance cloud? Performance cloud is useful in transferring maximum amount of data instantly. It is used by the professionals who work on high performance computing research. 35) Explain hybrid and community cloud? Hybrid cloud: It consists of multiple service providers. It is a combination of public and private cloud features. It is used by the company when they require both private and public clouds both. Community Cloud: This model is quite expensive and is used when the organizations having common goals and requirements, and are ready to share the benefits of the cloud service. 36) In cloud what are the optimizing strategies? To overcome the maintenance cost and to optimize the resources ,there is a concept of three data center in cloud which provides recovery and back-up in case of disaster or system failure and keeps all the data safe and intact. 37) What is Amazon SQS? And How buffer is used to Amazon web services? To communicate between different connectors Amazon SQS message is used, between various components of AMAZON, it acts as a communicator. In order to make system more efficient against the burst of traffic or load, buffer is used. It synchronizes different component . The component always receives and processes the request in an unbalanced way. The balance between different components are managed by buffer, and makes them work at the same speed to provide faster services. 38) Mention what is Hypervisor in cloud computing and their types? Type 2: The guest Vm runs over hardware through a host OS, eg Kvm, oracle virtualbox.